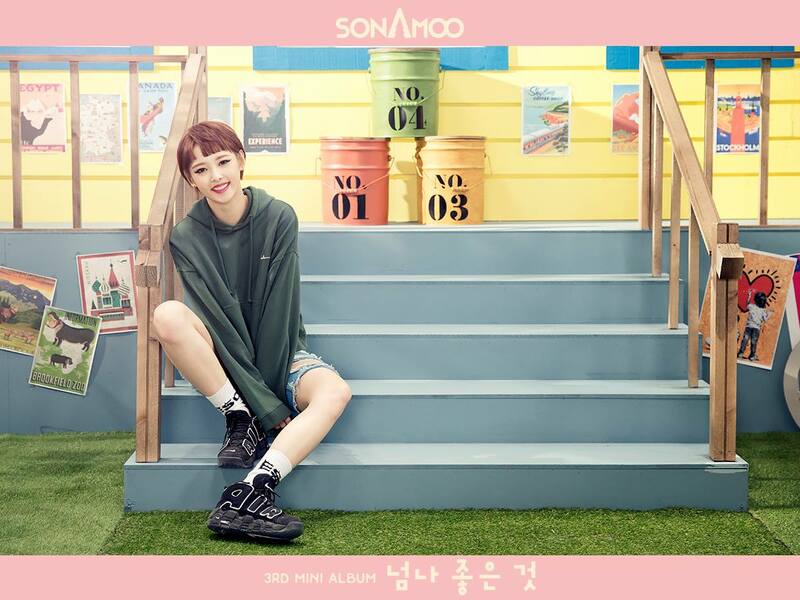 Sonamoo’s album I Like U Too Much released on June 29, 2016 as their third mini-album. The concept of the comeback was cheerful and lovely, using the color of pink to make Sonamoo’s members look girly and feminine. Below was their planned release schedule for the album. The members of Sonamoo’s photos looks very cute and lovely on their photo teasers for both the individuals and for the group. Each of the members has different role for the concept. The photo teaser for Sonamoo’s individual members were released from June 17, 2016 until June 21, 2016. The group photo was released on June 22, 2016. Below are their individual photo teasers, sorted from the first released until the last. 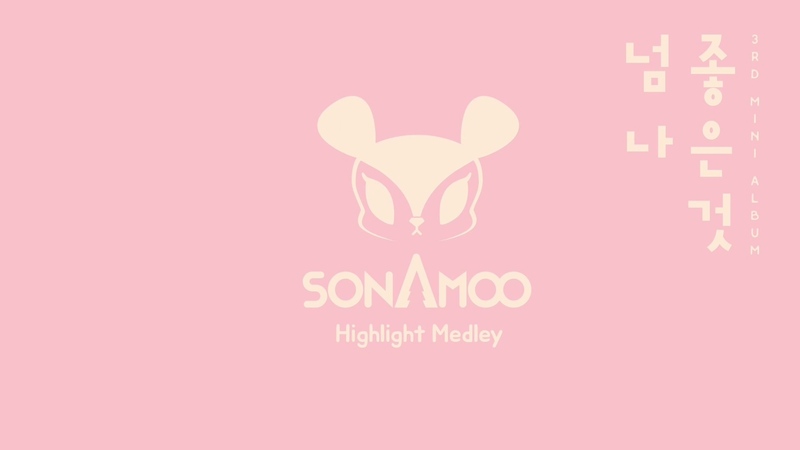 After releasing Sonamoo’s individual and group photo teasers, TS Entertainment released the highlight medley video for the I Like U Too Much album. The video contains a combination of short song clips from the album, with the photo teasers from before. It was released on June 23, 2016. After the release of the individual and group photo teasers and the album highlight medley, Sonamoo released their teaser video for I Like U Too Much on June 23, 2016. The music video used a pink color scheme in every scene, just like their original concept. I Like U Too Much was released on June 29, 2016 as Sonamoo’s third mini-album. The album consists of 6 songs, including the title track I Like U Too Much. The album I Like Too Much contains a CD, a photo card, and a photo-book with the Sonamoo group and individual photos inside it. A photo card was randomly put in every CD set. Since the comeback concept highly emphasized the color pink, most of the album items are in pink.